Kyle & Britt Rhodes receiving this sweet award! Kyle Rhodes, our fearless leader and founder, was honored at the prestigious Dallas 100™ awards dinner this past week. 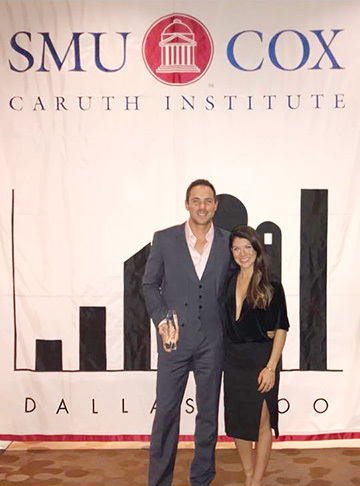 And according to the SMU Cox School of Business’s Caruth Institute for Entrepreneurship, named one of the top entrepreneurs in the DFW area. It’s a huge honor to receive, and we couldn’t be prouder to be on this list. This is obviously a team effort, and we couldn’t have done it without our huge, amazing family of traveling healthcare professionals, ridiculously dedicated advisors, and back-office staff. Cheers to moving on up the list!